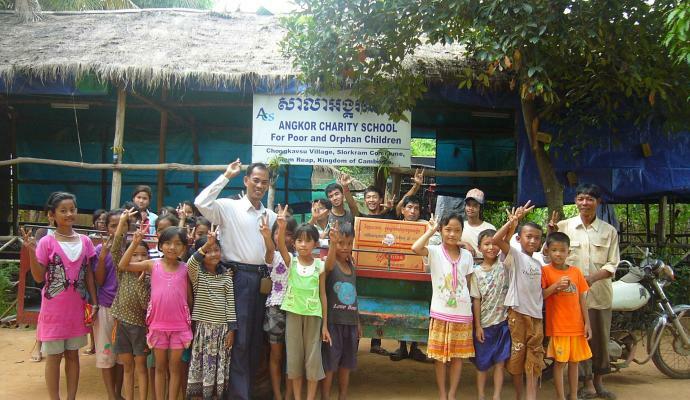 The Angkor Charity Organization is a non-governmental, apolitical, secular and non-profitable organization was established on February, 21, 2009 in the brain child of Mr.Nou Tat (Chairman/Founder) and his dedicated charitable colleagues for the benefit to those less fortunate within the poor community. 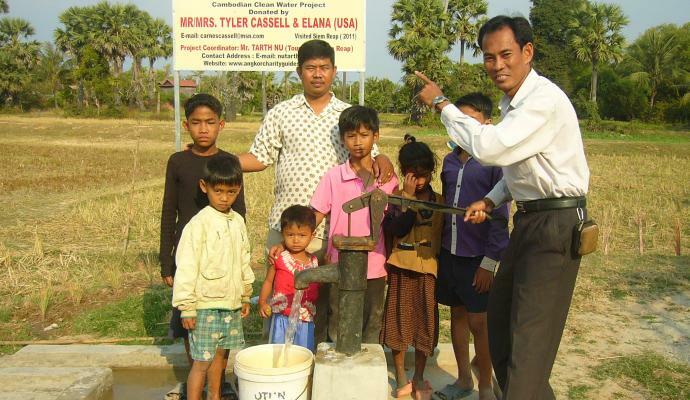 And it was officially registered and recognized under The Ministry of Interior of The Royal Government of Cambodia on March, 31, 2011 (Regis N°: 700). 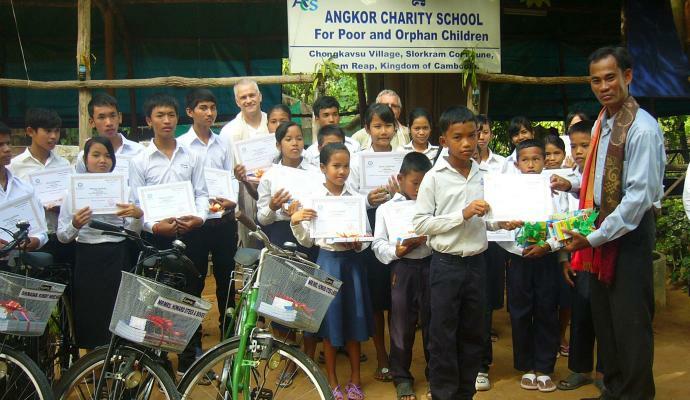 Angkor charity Organization provides life-changing education, vocations to our local vulnerable children whose ages ranging from 5-16 within most destitute communities in Siem Reap, Angkor. 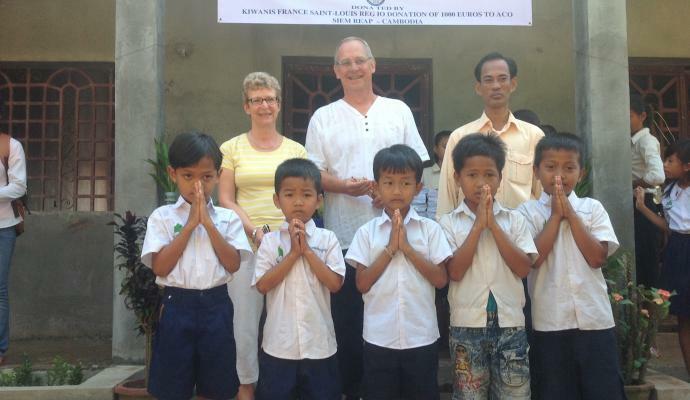 In the beginning, our world revolved around the health, well-being, education and vocation of 35 orphans. To-day, we educate and provide vocation to more than 160 children and extends our services to provide for their families and communities in crisis. 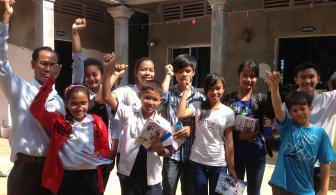 Our first main accomplishment was The Opening of Free English Language School for the orphans and other impoverished local children in the community. 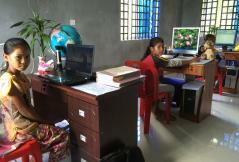 This school is run entirely by volunteer staffs and teachers with small funding and it is run solely on donations. 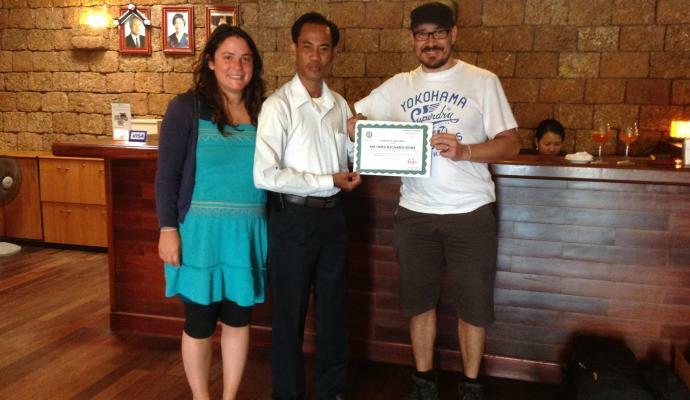 Each month is our new challenge to pay for staffs, school supplies and other expenses for our children. 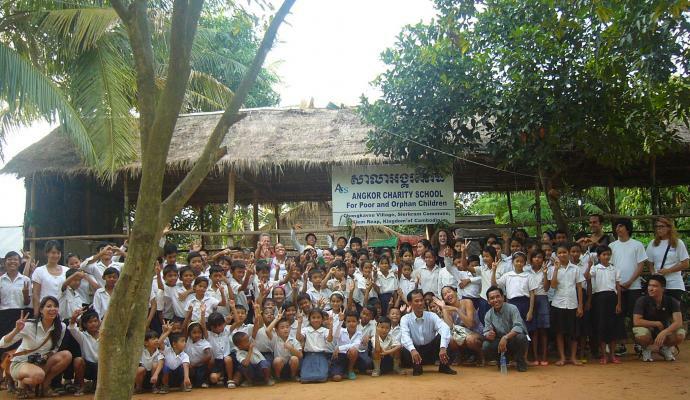 Many of these children have lost one or both parents or come from destitute families.The majority of children in our school were former garbage and recycling items pickers living and working in Siem Reap. Now, we are constructing necessary facilities for the initial orphanage of 35 local identified orphans in dire need of a healthy, safe and stable environment. Now, it is not finished yet. 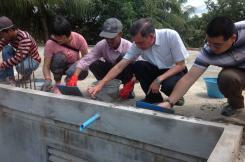 We need more construction materials and funding that enables us to complete it soon. Ladies and gentlemen help our work so that to make our children’s dream come true! 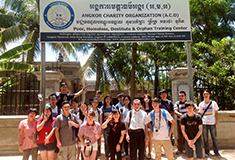 Angkor Charity Organization is working toward a combined Cambodian goal of achieving a developed and educated nation and populace.Through a healthy and stable environment and educations, we all have a strong conviction that Cambodia can join the league of developed nations in the world. 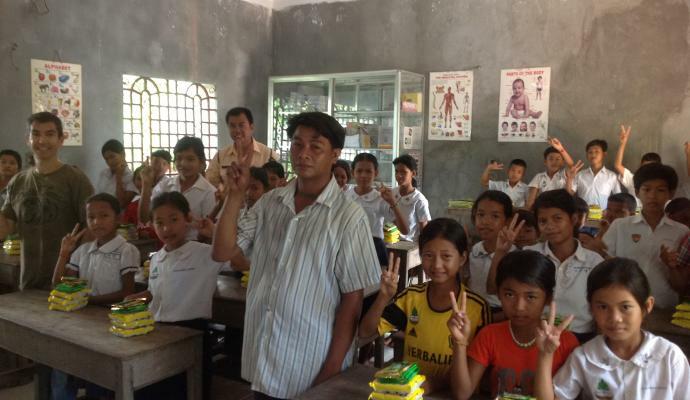 In my mind and from my eyes, I really know that Education is essential for the human’s life. Everything else such as: food, shelter, loves and expertise that civilized the human society and government etc-is important but without education is at major risk and peril. 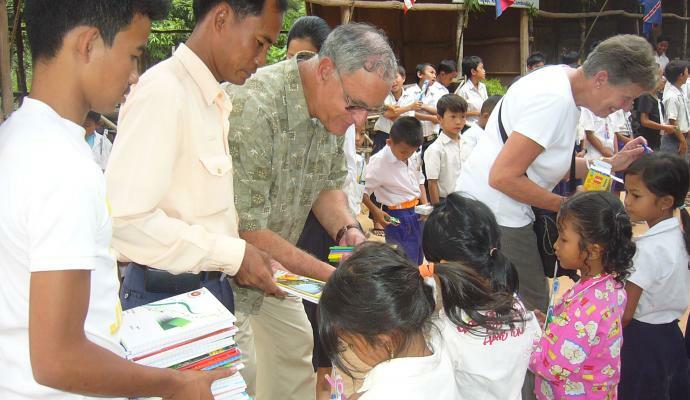 Cambodia was completely devastated by the Khmer Rouge, I decided to put all my effort to help my nation recover and reconstruct my country through education & providing skill to the poor. "Now, it's time for everyone to have equal chance to education", I believe. Dearest generous ladies & gentlemen kindly help our work that enables us to fulfill our dream!!! Your Title: * Mr. Mrs. Ms. Dr.